Laser beams illuminating unit of Diode Pumped Green Laser. 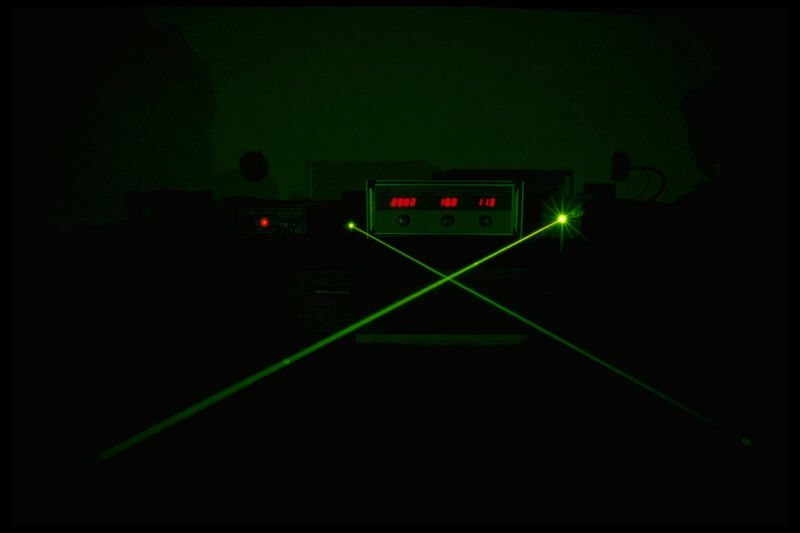 To transfer information, it’s common to modulate the brightness of the laser light. For a laser diode, this is done by varying the electrical current supplied to the diode. But it doesn’t matter how quickly you can vary the current; the laser will respond in its own sweet time. Overcoming that limitation traditionally involves turning the power up, but this new approach avoids that requirement. Therein lies the next problem. The electrons don’t immediately lose their energy. Instead, many of them hang around awaiting inspiration before doing so. These tardy electrons smear out the sharp modulation that we put into the laser, and this limits the data transfer rate to speeds that we can already achieve with current technology. Hence, we might put in a stream of electrons that are all spin up. A few of them emit immediately, but the rest first bounce around losing their spin orientation before they emit. The result is a background of light that contains no information, and, on top of that, weak flashes that carry information.